Gary Dilger is the Southwest Regional Sales Director. 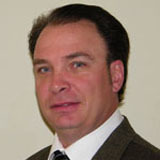 A Nevada native, Gary has served the home building industry for over twenty years. He has performed such duties as Vice President of Operations for national home builders and has managed Warranty, Construction and Sales teams within the home building process. Gary brings a wealth of knowledge and years of experience to the role, and resides with his wife and children in Las Vegas.